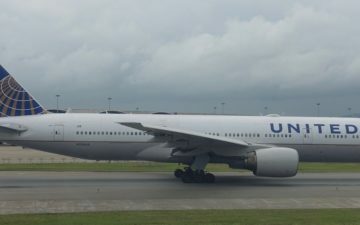 Mentally, for me, the Continental/United merger just went from being an abstract thought to a reality. 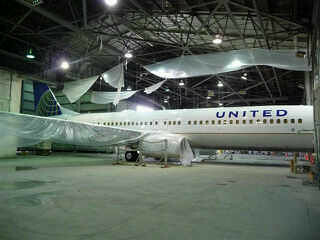 Check out this picture of the first Continental 737 being repainted in, well, Continental colors (with the United name stamped on it). I love Continental and I love United. But darnit, I don’t like to be Conned! It is going to be many, many moths before answers will come out for things like the FF program integration. Don’t hold your breath. I’ll miss the Tulip. Guess it’s indicative of things changing. I’m hoping for the better, as for me it can only be a lose proposition for United as I am loyal to them now. Lucky, would love to know where the “I love CO” sentiment comes from – don’t ever remember you mentioning that before! Honestly, I’m curious – sure the food is better than UA, and you can watch TV for free if in F on so-equipped planes…but what else is there? I’m really not getting it. @ Seth — Certainly going to be a while, though I wouldn’t say “many, many months.” I’m thinking we’ll have some information by early next year. @ SAN Greg — I’ll miss the tulip too. I realize I’m a bit biased, but it always cracked me up when former Northwest flyers lamented the end of the red tail. I can certainly appreciate that Northwest flyers were losing their airline (which was in many ways better than Delta), though I think us United flyers are losing more on the branding end of things. @ UA-NYC — Excellent point, I should clarify. I don’t personally “love” Continental, but I do think they’re a solid airline. Part of the reason I love United is because of their irrational policies. As someone that usually flies cheap fares, I almost always get the upgrade. United also takes GREAT care of elites. 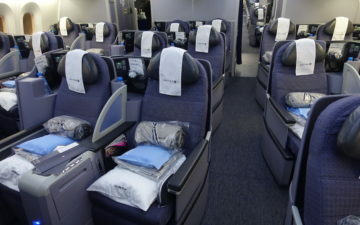 Simply put, at United, you either get a LOT more than you paid for or a LOT less than you paid for (I feel bad for someone that books full fare business class on United and gets stuck in a recliner seat). At the same time, Continental provides a fair value to all. 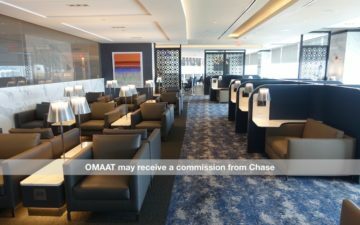 I couldn’t care less about food, but they have reasonable “instant upgrade” fares, and generally their premium cabins are more reasonably priced. So as a consumer flying on my own dime I prefer United, but if I were running the airline, I’d prefer the Continental way of doing things. One major thing Continental needs to improve on, though, is taking care of elites, which is an area United is EXCELLENT in. Up until a couple of years ago Continental didn’t even prioritize the standby list by status, which seems to be indicative of how they generally treat elites. Though they’re getting better. I hope the United’s current 2 mm and 3 mm perks stay (using BIS as basis of calculation)…otherwise I have little incentive to fly the new United. I am loyal to the Tulip not the Globe. The new United and I need to establish new relationship. Perhaps I’ll take a quick trip on Saturday to see if anything seems different.. I doubt there will be a 125K tier, it would be a huge dilution of 1K, meaning 1K’s would be 3rd in line, hardly something worth chasing, many would just stick with 1P. And what benefits would this bring to the airline, do customers who fly 25K more bring in that much more revenue, the planes are full these days anyway. Above a certain threshold it makes sense to make it revenue based. @ UA_Flyer — Completely agree. I’m almost on the cusp of million miler, and it would sting bad if they changed the benefits there now. @ Nick — But you’re assuming they’ll be going with the United elite levels and not Continental elite levels. I can just as much see them going with Silver (25K), Gold (50K), Platinum (75K), and a 125K tier. If you’re going to have four, published elite tiers, I think it makes sense to make a bit of a jump from the 75K level. Unfortunately it is possible to end up with the polar opposite of that list. My guess is it will be somewhere in between. sorry “Channel 9” above should be UA! Oh give it a f…ing rest with the “what’s going to happen to me” whining. It will be what it will be. Get over it. 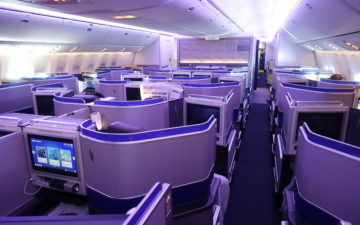 @Erndog – both airlines feature the perk of waived mileage redeposit fees for top tier elites, however CO is not as strict as United about changes on award tickets after travel begins.